I’m not a big fan of Tex-Mex food, but whenever I go to a Tex-Mex place, I usually order either some form of fajitas (with double rice, of course) or fish tacos. 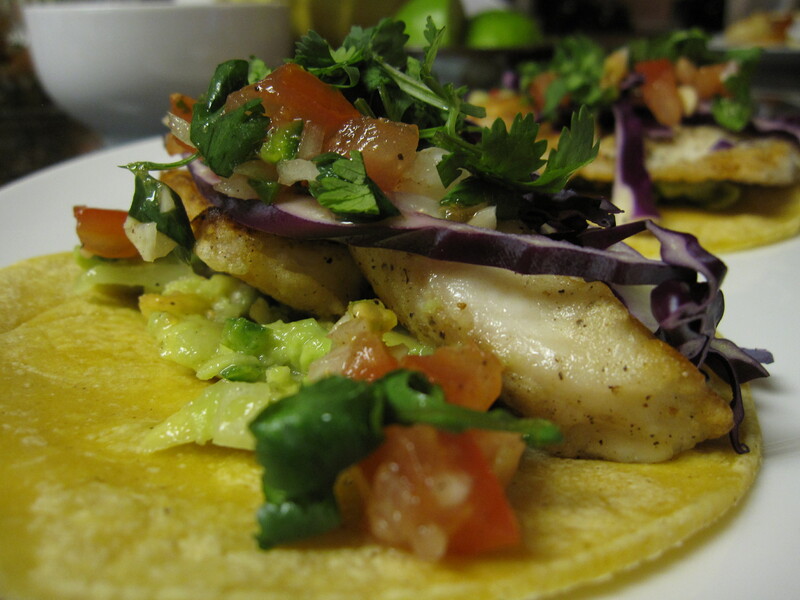 I decided to make some of my own fish tacos, plus all of the fixings too. Started off with HEB corn tortillas. Oh how I miss HEB. Corn tortillas are so legit. The texture and the taste are both so unique vs. flour tortillas. 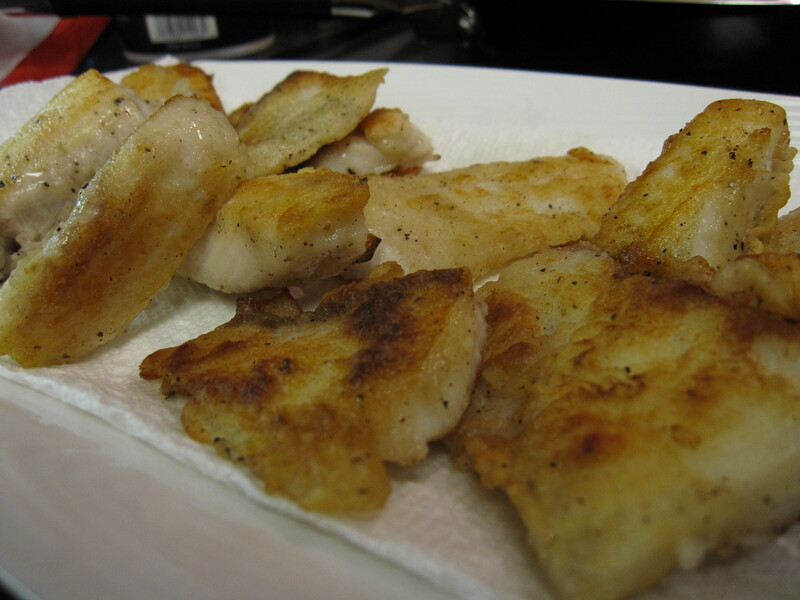 Next, I pan fried some tilapia (batter was just a flour and water mixture). While the fish was cooking, I sliced up some red cabbage. 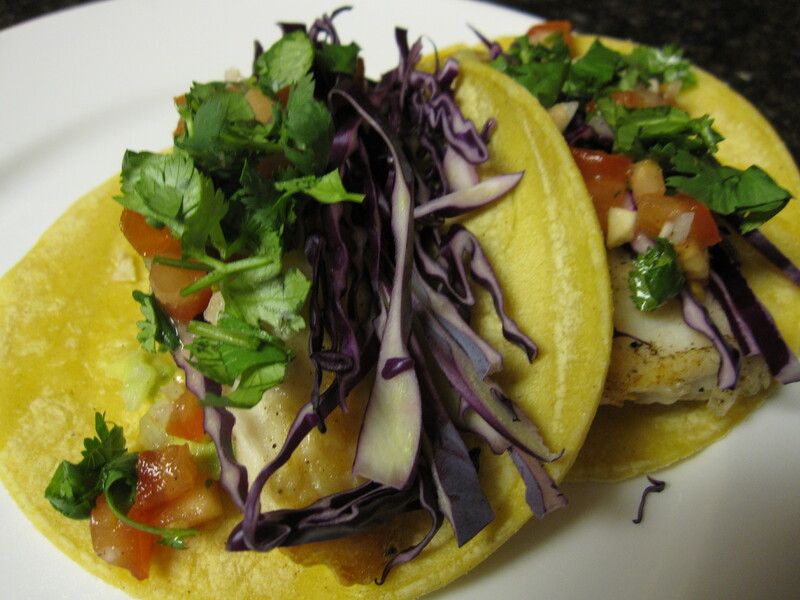 Pretty much the only time I eat red cabbage is in fish tacos – anyone know any red cabbage recipes besides cole slaw? 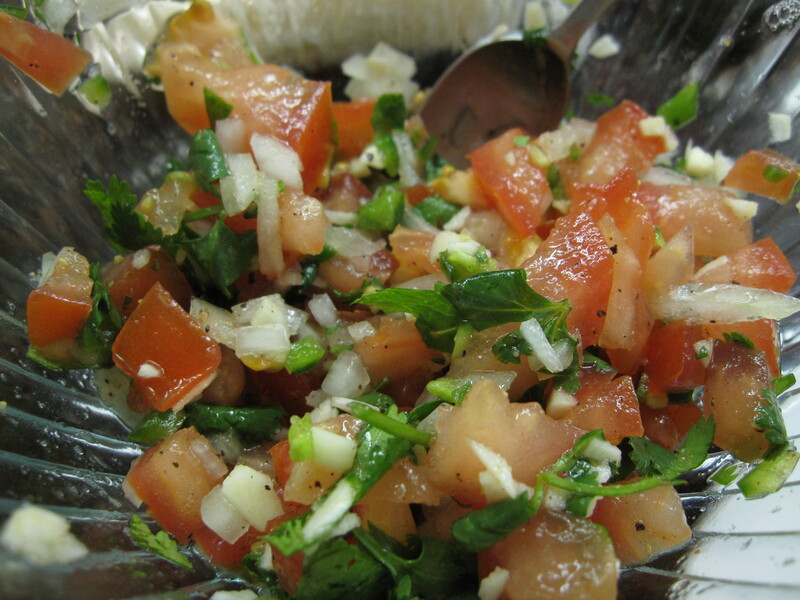 After that, I made some pico and guacamole, both with tomatoes, onions, lots of minced garlic, lime juice, and jalapenos! Washed some cilantro and began assembling.